In addition to daily classroom instruction, religious programs include; Spirit Song liturgical music classes, Extraordinary Minister training, and liturgical dance for our weekly celebration of the Mass. We also have additional prayer services for Advent and Lent along with penance services. 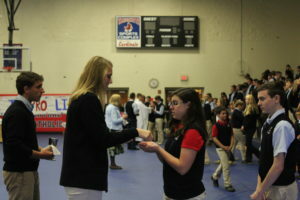 Students explore the Catholic faith through scripture, history, doctrine, morality, social issues, and prayer life. 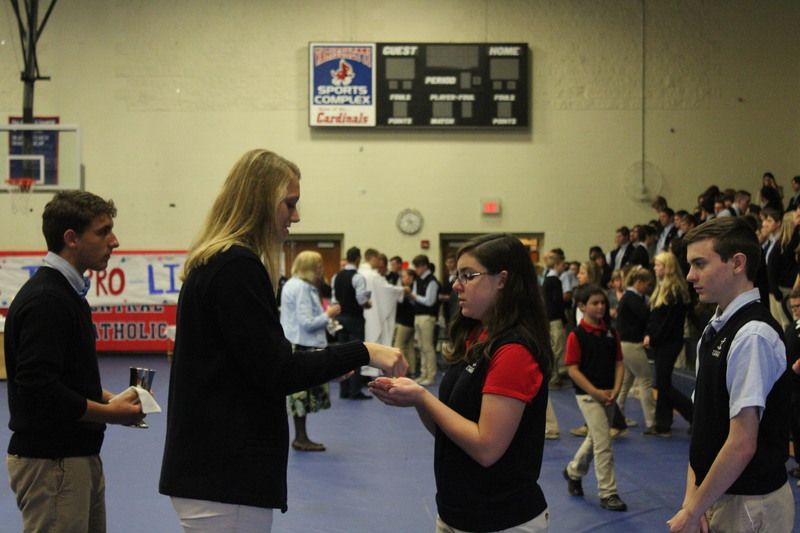 As DuBois Central Catholic invites students of all faiths, our classroom discussions are enriched by the shared experiences of our students and their faith journeys. Along with the service hours they are required to have as a student here at DCC, they also participate in many organized service oriented projects; visiting the elderly at Christ The King Manor, Special Olympics, Peer to Peer involvement. These and additional opportunities to assist in the DuBois and surrounding communities will now fall under the name of DuBois Central Catholic Community Ambassadors. 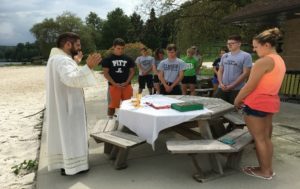 Every class has a retreat each year. The Juniors (as part of their Theology Class) plan and implement the retreats for the elementary and middle school classes, along with inviting our neighboring Catholic School children to participate.